For people of faith, we all know that we should be creating space for spending time with God. 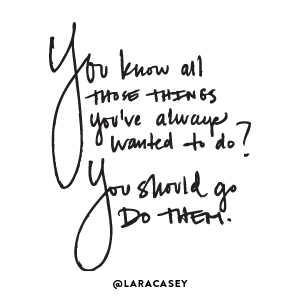 But there are times when we allow busy or boredom to push us away from the sacred moments with God. It’s at these times when breaking from our routines can breathe new life into our spiritual walk. That’s why I like Tyndale’s Living Expressions collection, which combines reading and studying God’s Word with creative expressions such as coloring, journaling, or drawing. 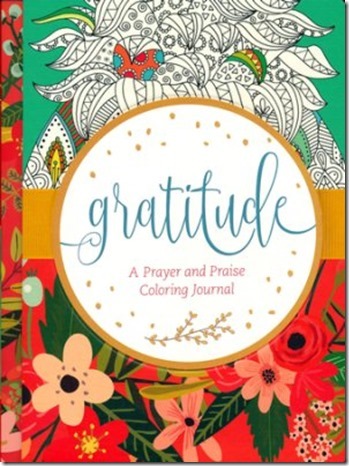 If you are one that enjoys adult coloring, you might enjoy Gratitude: A Prayer and Praise Coloring Journal. With spaces for both coloring and journaling, it packs a two for one punch. The book contains over 100 designs to color and 40 needs-based prayers. Unwrapping this book, I was amazed at how lovely the cover was in person. The sturdy hardback cover makes it easy to color without needing any other support. I have used my Stabilo markers in the book and found the ink to be only slightly visible through the adjoining page. The size of the book makes it great to pack in a bag. It would be a nice addition to a gift basket or as addition to your own library. To see more from Living Expressions collection, visit Tyndale’s Inspire Creativity Pinterest board. There you will find sample coloring pages from their new line. Gratitude: A Prayer and Praise Coloring Journal invites you to bring creative journaling and the calming act of coloring into your quiet time with God. This beautifully designed interactive prayer book from Tyndale's Living Expressions collection helps guide your thoughts as you pray about concerns such as health, overcoming stress, personal relationships, and more. Gratitude gives you a way to celebrate and give thanks to God for the many blessings he provides. Filled with over 100 designs to color, plenty of space for journaling and sketching, and 40 needs-based prayers, Gratitude helps you express your devotion to God with your whole heart! 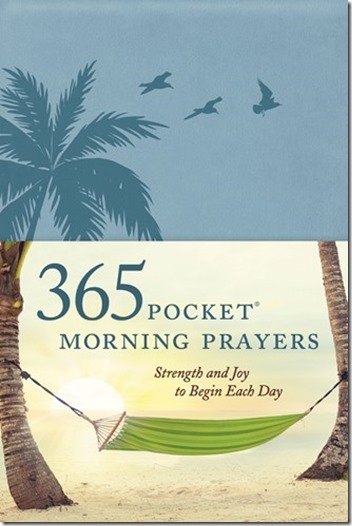 Another resource from Tyndale is 365 Pocket Morning Prayers: Strength and Joy to Begin Each Day. Designed to help you release your troubles and concerns into God’s care, this book is a nice little prayer starter tool. These short daily prayers can be helpful prompts of new issues to bring before God. A nice thing about this book is that it is not dated, which makes it easy to begin anywhere. You can read by topic or in chronological order. The beauty of a book like this is that it sparks inspiration and can be ideal for the beginner or someone well on in their spiritual journey. I’m convinced that we often make prayer more complicated than it should be. Dave Veerman, the author, says prayer is a privilege, powerful and personal and I certainly agree. Although the book wouldn’t fit in any pocket of mine, its 4×6 size makes it’s easy to carry with you. Take a look inside 365 Pocket Morning Prayers. I was provided a complimentary copy of each of these books by Tyndale House Publishers for review purposes. Sounds cool. Anything that brings our attention back to our Father and His purposes can’t be a bad thing! For sure we can’t let the tools overtake our main focus. They look like great resources ! 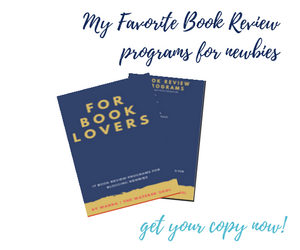 I love using new with tried and true ways – to inspire a deeper connection with God in quiet time. Thanks for sharing these ?? it is said that a prayer is the heart of worship so pray to get close to your CREATOR and spend each breath in the gratefulness of his blessings . Beautiful said Shabana. Prayer keeps us in close communication with God. My pleasure…hope your week is off to great start Rhapsody. Happy reading! Hi Wanda! I have looked into adult coloring books, but the space to color is so small, I think it’d be more of a frustration than relaxing. The 365 book of short prayers/prompts sounds more to my liking. When I am getting started in the morning, I rarely have time to read something long. Thank you for introducing us to this! Hi Ceil, you’re right some of the adult coloring books do have some really intricate designs that can be a bit overwhelming. I have had to remind myself that every space doesn’t need color and I’m not trying to create a masterpiece but rather create sacred space. I do like something quick for my morning times as well. Happy reading. Thanks so much. So nice to meet you, Linda. The coloring books are a welcome way to reawaken the child-like innocence in each of us. Before I discovered them, it had been ages before I had sat down with a box of colors and a page. When I’m not focused on creating some artful masterpiece, I”m amazed at just how peaceful coloring can be. Happy coloring to you.